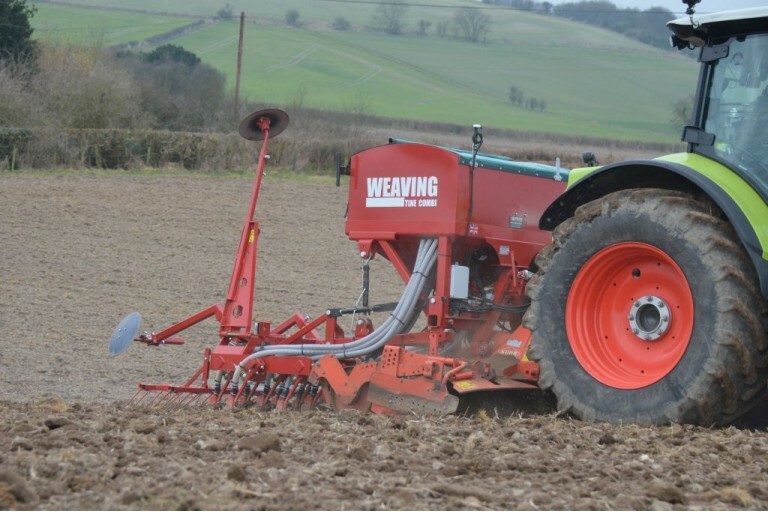 The Weaving power harrow tine/auto re-set Sabre Tine combination is a time proven drill able to be used in all conventional systems, either fitted onto your existing power harrow or a new machine to make a complete drill. 3 Rows of auto-reset tines - 8 tines per metre, 2 rows of following harrows, vertical hydraulic markers, hydraulic fan, RDS Artemis Lite controls with GPS forward speed monitoring. 3 Rows of auto-reset Sabre Tines - 8 tines per metre, 2 rows of following harrows, vertical hydraulic markers, hydraulic fan, RDS Artemis Lite controls with GPS forward speed monitoring. 1.5 Ton grain hopper with quick fit 'A' frame with demount legs.